Please complete the following form to submit your catering order online. To help us serve you better, please allow 24 hours notice whenever possible. We will be in touch with you upon receipt to confirm all pricing and delivery details and to process your payment. Short Notice Policy: If you wish to place or change an order within 2 hours of the fulfillment or require a next day breakfast fulfillment and it is after 2:00PM EST, please call us directly at 1 (888) 741-741-7 to see if we are able to accommodate your request. Beautifully prepared trays, fresh ingredients, great for any morning catering occaision! Breakfast meetings made easy! An assortment of Bagels (1/person) with Cream Cheese, Jam, Peanut Butter & Butter on the side. Includes side of fresh cut Fruit. Served with Williams Fresh Cafe Signature Blend, Bold or Decaf Coffee. We've got breakfast covered. An assortment of Baked Goods (1/person). Includes a side of fresh cut Fruit. Served with Williams Fresh Cafe Signature Blend, Bold or Decaf Coffee. $3.60 for each person more than 7 people. An assortment of fresh muffins served with butter. Includes 1 muffin/person. $2.60 for each person more than 7 people. $3.00 for each person more than 7 people. Perfect any time of day or to complement a meal. This platter includes a selection of seasonal Fruit, Melon & Berries, arranged in a bright & colourful presentation. Individual cups of Vanilla Yogurt, served with Mixed Berries & Granola. Please indicate your preferences below and when we get back to you to finalize your order we will confirm that you've chosen an appropriate combination of drinks for the number of guests you are serving. Start The Day Right With Fresh Brewed Coffee. Serving great coffee has always been our tradition. 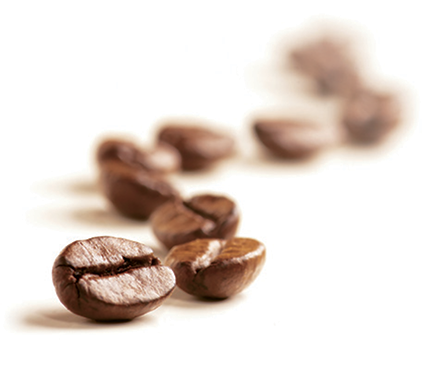 Our Williams Signature Blend combines carefully chosen South American, Central American and African beans to bring out a harmoniously rich flavour. It’s a medium light roast that offers a very full body with rich acidity and overtones of fine wines, and underlying tones of chocolate, fruit and nuttiness. A rewarding start to your day. An assortment of Herbal & Flavoured Teas. Minimum 10 people. Please specify any preferences with the types of tea you would like. A variety of fruit juice including Apple, Orange, Grapefruit & Cranberry. Please specify any preferences with juice preferences. The total reflected here is your total excluding Tax & delivery charges. Please confirm all final order details here. We will contact you shortly to confirm all costs and to request your payment information. Orders will not be processed until all details are confirmed and your payment has been taken. Would you like us to provide complimentary disposable napkins and cutlery with your order? No thanks, I'm going green! Good choice! Savin' the environment one plastic fork at a time! Do you or your guests have any food allergies of which we should be aware? Please describe any food allergies here. Please provide your contact information so that a Williams Fresh Cafe representative may contact you to confirm your catering order and process your payment. Please fill in the information below to help us understand when, where and how you would like to receive your order. Please note that we require a minimum of 48 hours notice on all online catering orders. If you need your order sooner please call to inquire. Please select your city or town. Please note that charges may apply for delivery. This will be confirmed once your order has been submitted before we take payment. Are you in a house, an apartment, an office? Please give us any additional details or instructions to help us make sure your order is delivered as required.